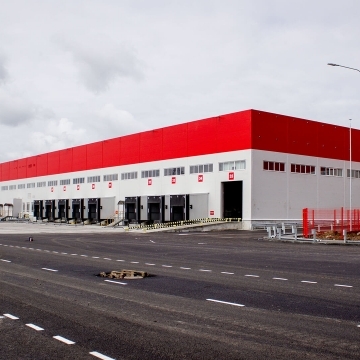 An innovative partnership between a Russian lighting company and CP Electronics, the UK‘s leading provider of lighting control solutions, brought a 50% saving in energy usage to a brand new warehouse in Tyumen, Russia. 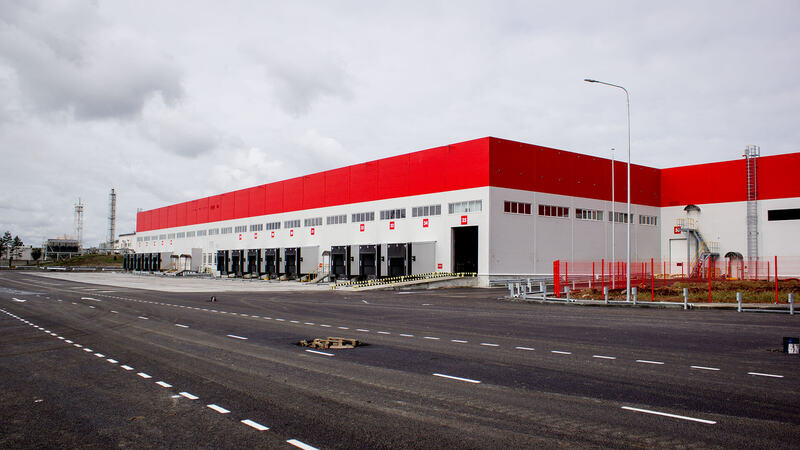 DEUS LLC and CP Electronics worked with the X5 Retail Group at its 30,000sqm distribution centre, providing a lighting system that was fully compatible with DEUS’ own DALI control system. 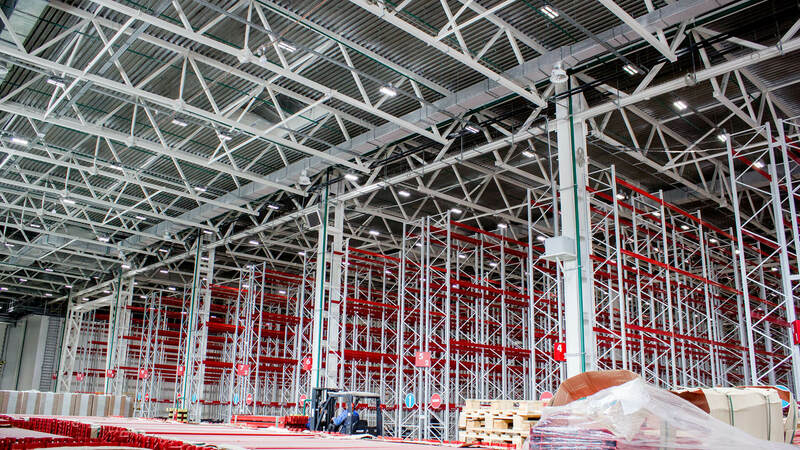 Previously, X5 Retail Group was struggling to control lighting at tall heights in its warehouses. The company required detectors that would mount up to 15m to work with its current control system. The entire system also needed to operate off-line utilising the presence detectors and to maintain the lighting set point of 250 lux even where the luminaires are located at heights of at least 12m. The joint CP-DEUS relationship allowed X5 Retail Group to be fully flexible and adaptable to whatever lighting scenes were required. CP Electronics has extensive experience in providing bespoke solutions to lighting Original Equipment Manufacturers (OEMs). Nikita Betyaev, Business Development Director and co-founder of DEUS LLC, explains how the partnership began: “We started working with CP Electronics in 2017 as we were particularly impressed with the standard 5 year warranty of CP’s products. We also found the flexibility of products like DALI Network (DNET1) to be particularly beneficial. 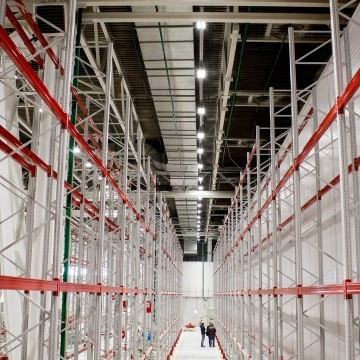 The main lighting of the warehouse comprised 1,500 luminaires equipped with DALI drivers. DEUS LLC utilised its own ME6 DALI control system which included 32 control routers and 156 EBDHS-DNET1 combined lighting and presence detectors, provided by CP Electronics. Moreover, the sensors allowed lighting control scenarios to be programmed in, according to X5 Group’s needs. To ensure energy consumption is kept to a minimum, the movement sensors ensured separate activation of areas where movement is detected. Furthermore, this gives a longer service life of luminaires and the lighting detectors provided 50% increase in energy efficiency. The warehouse is open all day, every day, and as the requirements change by the work required, so does the lighting. The X5 Retail Group required not just a centralised lighting control system, but a guarantee of the possibility to quickly select the necessary scenarios for managing the facility and its zones. Furthermore, CP Electronics helped provide an intuitively understandable and flexible version of the system. It ensured X5 Retail Group could independently create a necessary scenario of managing zones or the whole space as required. Simon Clarke, OEM Sales Manager at CP Electronics, explains why the choice to use DNET1 was particularly useful to this project: “DNET1 is a fully integrated slave device that allowed DEUS LLC to integrate sensors into its system. DEUS already supports all DNET1 detectors in its cloud software and controllers firmware. 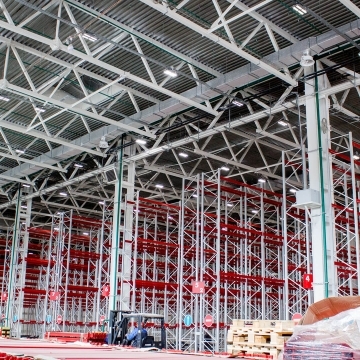 The story highlights the growing demand for efficient and easy lighting control solutions in warehouses across Europe. DNET1, as part of a wider system, ensured smooth and reliable energy management for the end user. 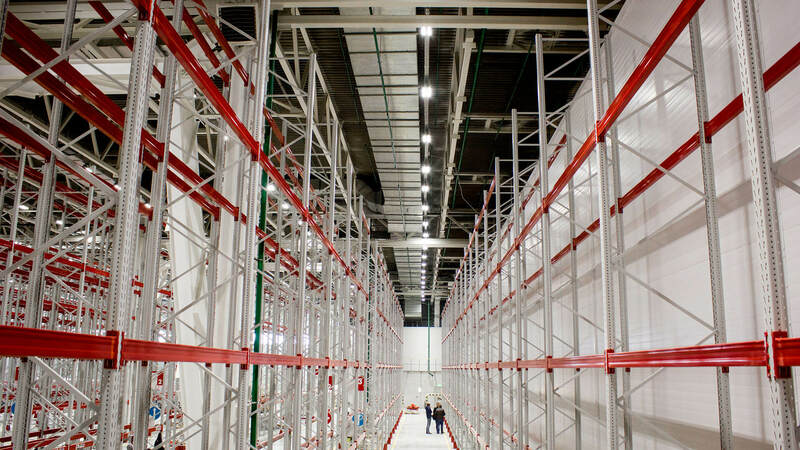 Partnering with DEUS LLC, CP Electronics brought efficient energy controls to a potentially demanding space with high mounting heights. To find out more about our OEM offering, please click here.